The lack of effective faculty-student interaction has been identified as a main contributor to the high dropout rate in online education. 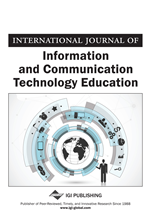 For this paper, the authors conducted an empirical study using a social networking tool, specifically Facebook, to improve student-instructor communication and student performance in an online learning environment. They recruited three sections of an introductory IT course at a public university and divided them into two groups: (1) a treatment group where Facebook was used as an additional communication tool and (2) a control group where the course setting wasn't changed. The authors surveyed the participants' opinions on the use of Facebook in the treatment group, and collected participants' academic performance data for both the treatment and control groups. Their research findings show that the use of Facebook as a supplemental communication method can help an instructor better reach out to students, reduce a course's failure rate, and improve student course performance. An exciting field in higher education that has recently enjoyed exponential growth is online learning (Moore & Kearsley, 2011). Educators have noted that “online learning has been promoted as being more cost effective and convenient than traditional educational environments as well as providing opportunities for more learners to continue their educations” (Richardson and Swan, 2003, p. 69). Students appreciate the convenience and flexibility of online classes, which allow them to study from anywhere, at their own pace and in their own time. Due to these benefits, online enrollment has been growing substantially. According to a 2015 survey of online education in the United States, in fall 2014, more than 5.8 million students took at least one online course – accounting for more than one fourth (28 percent) of all enrolled students – and over 2.8 million students were currently taking courses exclusively online (Allen & Seaman, 2016). Online learning has also become strategically important to many academic institutions. The same 2015 survey revealed that among more than 2,800 colleges and universities participating in the survey, 63.3 percent reported online learning as critical to their institution’s long-term strategy. Despite the exponential growth of online learning and its strategic importance, challenges still exist. The high dropout rate in online courses (as compared to traditional courses) is one of the greatest problems facing educators (Clay et al., 2009). Dropout refers to either a student’s failure in or failure to complete a course (Lee & Choi, 2011). Researchers have identified various factors that contribute to the dropout problem, with a lack of instructor-student interaction being one of the main contributors (Bocchi et al., 2004; Ivankova & Stick, 2007; Lee & Choi, 2011). To encourage students to persist in online courses, instructors should give appropriate feedback in a timely manner, provide support to students, and involve students in interactive activities (Ivankova & Stick, 2007). To address the lack of instructor-student interaction issue, researchers offered multiple suggestions, including using communication technology tools (Poellhuber, Chomienne, & Karsenti, 2008). We chose to use a social media tool, Facebook, to improve instructor-student communication in an online learning environment. Before we describe our approach, a review of the use of social media in general, and Facebook in particular, for educational purposes is discussed.